A few weeks ago, I was lucky to be offered a cookery lesson by Sheba Promod, who runs Absolute Indian Cookery School in St Albans. Sheba, who is originally from Kerela, South India, gained her love of authentic Indian cuisine growing up watching her mother cook and prepare food for the family. Kerela plays a key role in the spice trade and has done since the Greek and Roman times. Spices and ingredients growing locally, such as Cinnamon, Nutmeg, Vanilla & Coconut, influence the flavours and appearance of Kerelan Cuisine. Sheba's cookery features mainly Kerelan cuisine, and incorporates delicious authentic Indian dishes generally not found in an Indian takeaway in the UK. During our lesson, Sheba showed me how to make some Vegetarian dishes, and told me about the different kinds of dishes which would make up a Vegetarian meal in South India. 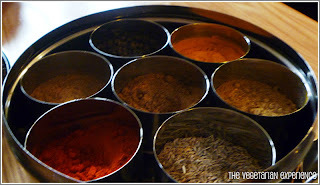 Sheba, who also runs her own Spice Boutique, started by giving me a run down of the kind of spices generally used in Indian Cooking and explained how different spices can influence the flavour of different dishes. Spices in Indian Cookery include Turmeric, Paprika, Ginger, Cloves and Cumin. People often say that they don't like "spicy" food, and so avoid cooking with any spices, however, many times, it will actually be that people don't like "hot" spicy foods, rather than any spicy foods. We tried each spice individually, to get a sense of how they tasted individually and what kind of dish they would complement. 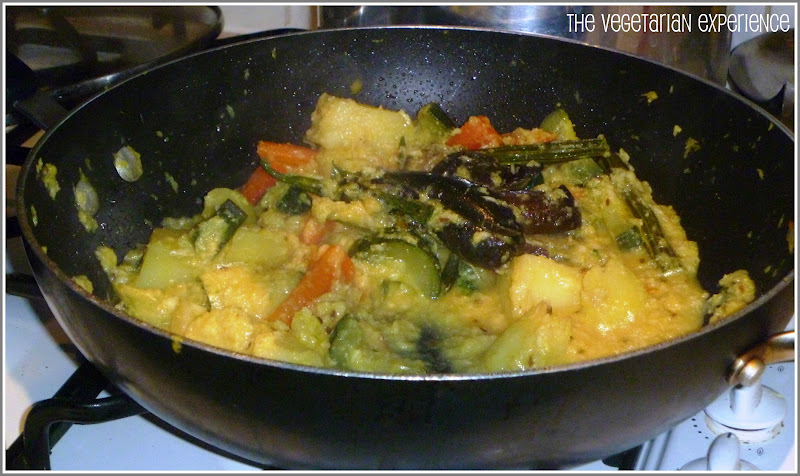 We then moved on to cooking, and started by making Avial - A South Indian Vegetable Curry. Avial is typically made with a combination of vegetables, coconut and curry leaves, and served with rice. 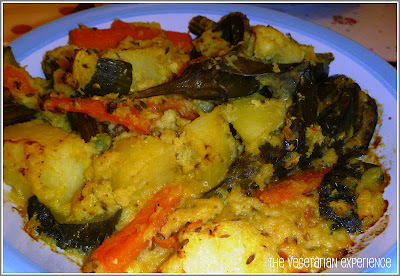 Avial is considered an essential part of a "Sadya" or Vegetarian banquet in Kerela. Sheba used carrots, cucumber, potato, drumstick, and small purple aubergines to create Avial. Drumstick is a vegetable native to India. This, and many of the other ingredients used in Kerelan cooking are available from shops specialising in Asian foods in the UK. There is one locally in St Albans where many ingredients can be sourced from. 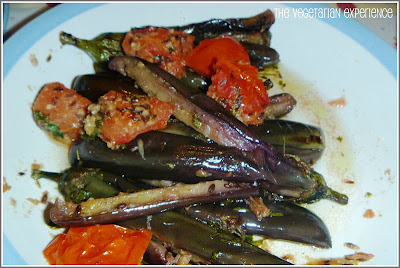 Next, we made a Brinjal Bhaji, also known as Aubergine Bhaji. In this country, we typically recognise Bhaji's as being coated and fried, and looking like a patty, but this Aubergine Bhaji is actually a mixed vegetable side dish coated in spices. Sheba recommends that small purple Aubergines are best for this dish and for the Avial, rather than large regular aubergines, and the small aubergines go well with the other colours of the food in the dish.We started by frying the aubergines in some oil, then removing them. Next we added the spices to the oil and fried the tomatoes in them, before adding the rest of the ingredients to finish. I really enjoyed making and eating the Aubergine Bhaji, and it is a great bright, colourful and aesthetically pleasing dish to bring to the table. To finish off, Sheba showed me how to make Dal Palak (Lentils with Spinach). 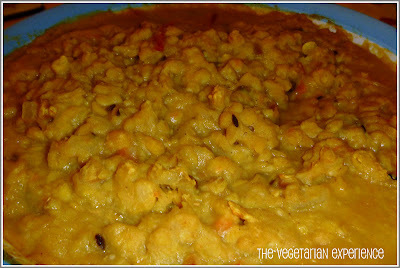 Dal is great for adding protein to your diet, especially if you follow a vegetarian diet. Sheba described Dal as the Indian equivalent of Chicken Soup! Dal is quite a plain, filling dish, so it is great if you just fancy something quite plain to eat on it's own, or as part of a larger meal. Sheba used a pressure cooker to make this dish, but you could try it in the slow cooker, or in a regular saucepan. 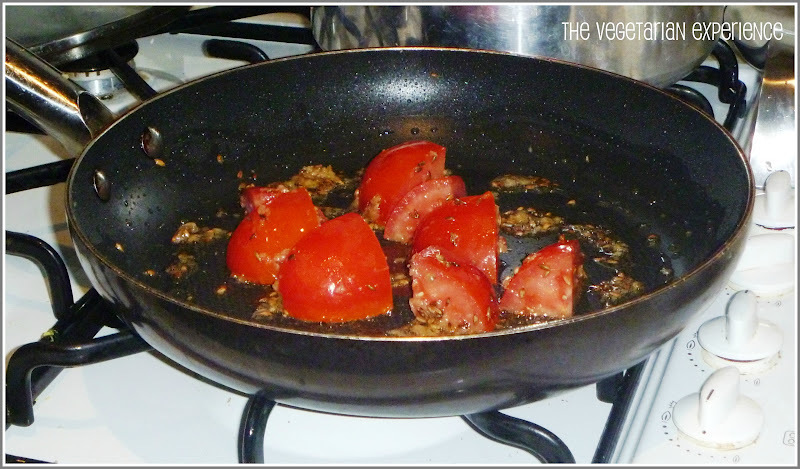 The important thing is that the lentils have had enough time to soak, and you have added enough water to the pan. 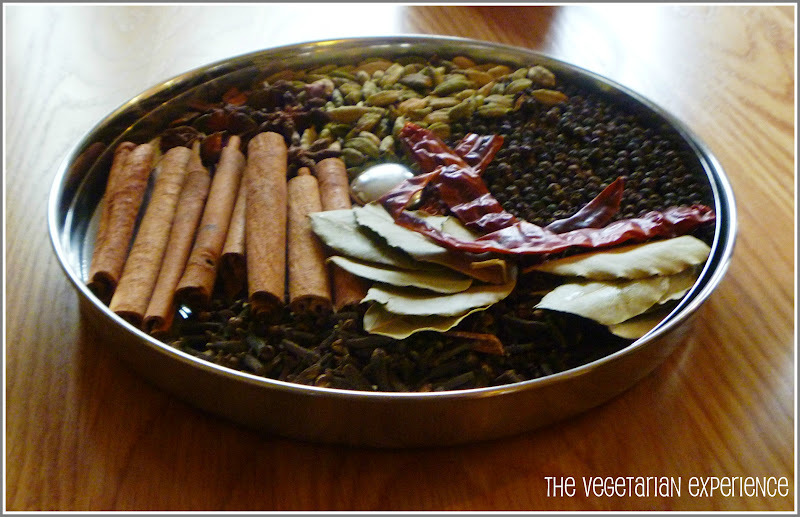 I would definitely recommend booking an Absolute Indian Cookery Course if you are local to the area. Visit the website to find out more about the different kinds of courses available. Thanks to Sheba for showing me some authentic Indian Cooking and inspiring me with her home made Ghee. I will definitely be trying out some of the dishes and techniques that I learned. My husband was very pleased when I arrived home with Indian takeaway dishes full of delicious, home made Indian Cusine! Hot Chocolate or Hot Schnocolate! !